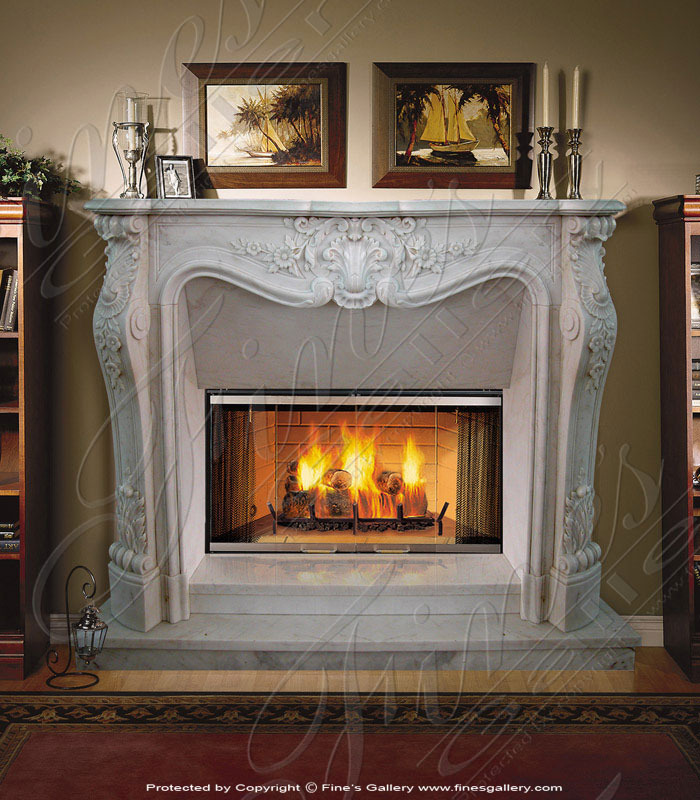 This simple but charming fireplace mantel will add a sense of sophistication to your home. 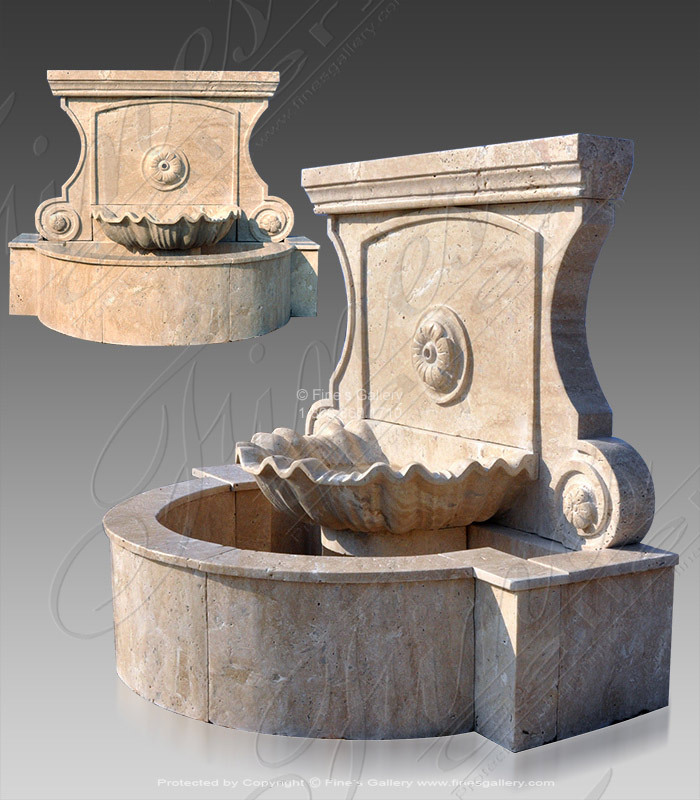 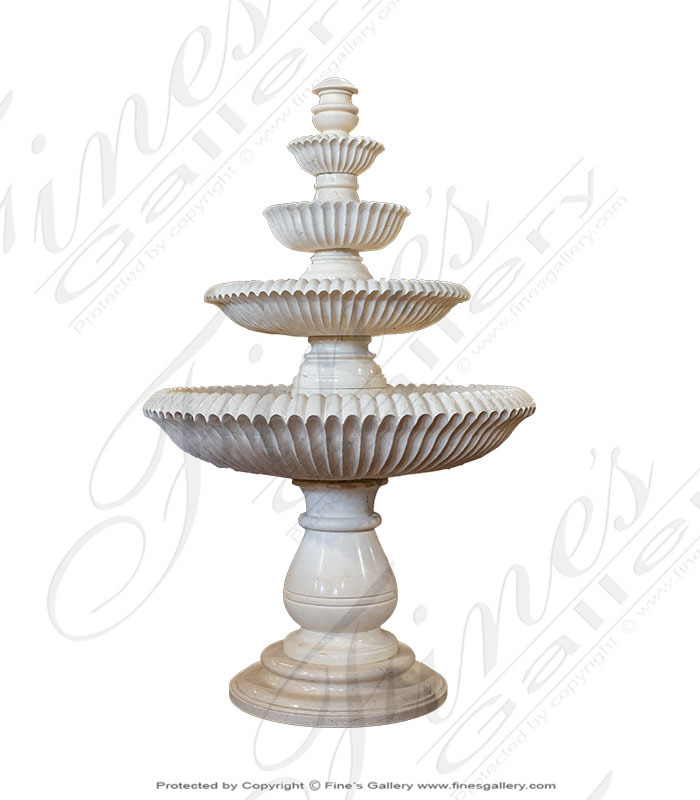 A hand carved french styled beauty in solid white marble. 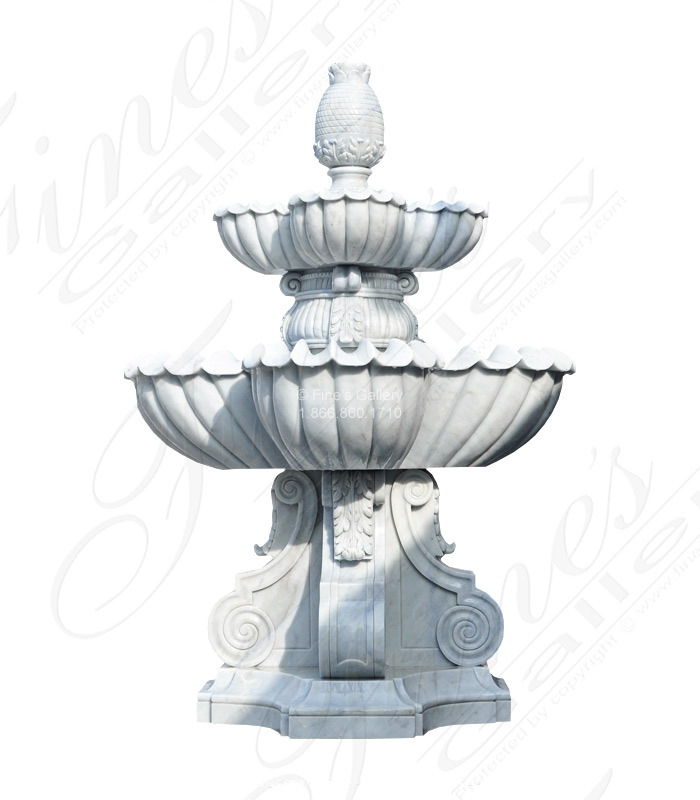 Intricately carved floral patterns accentuate this for almost every decorating style. 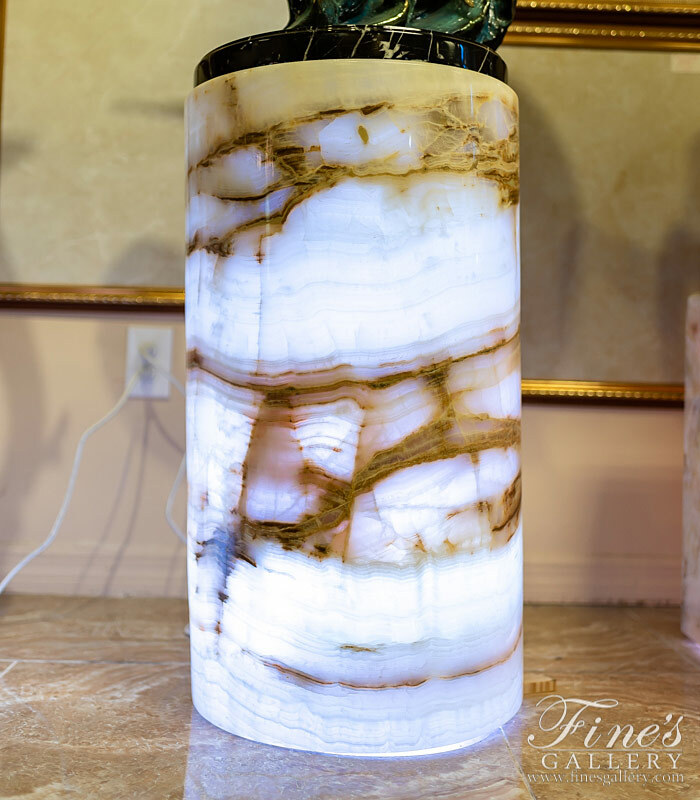 Translucent Onyx Pedestal. 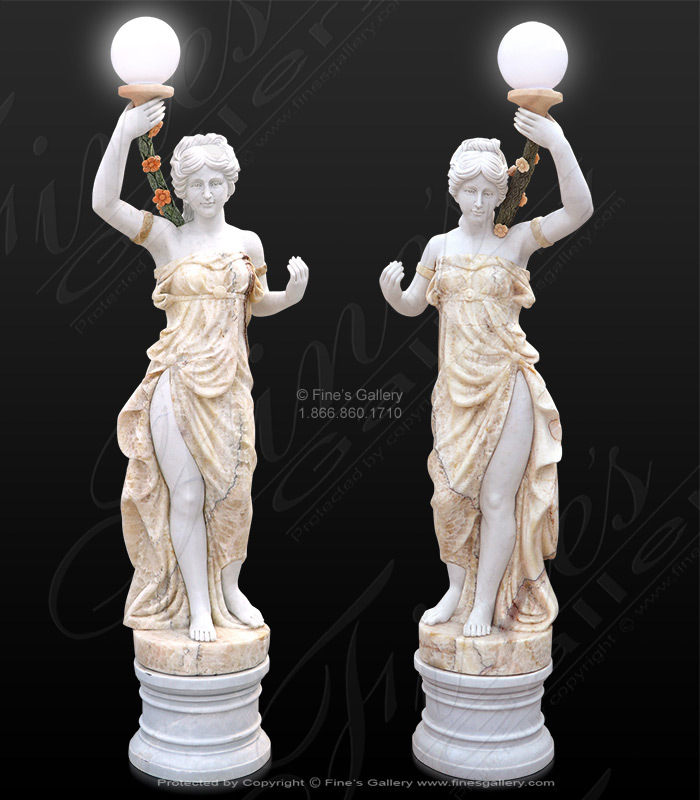 A beautiful white onyx base translucent for lighting effect. 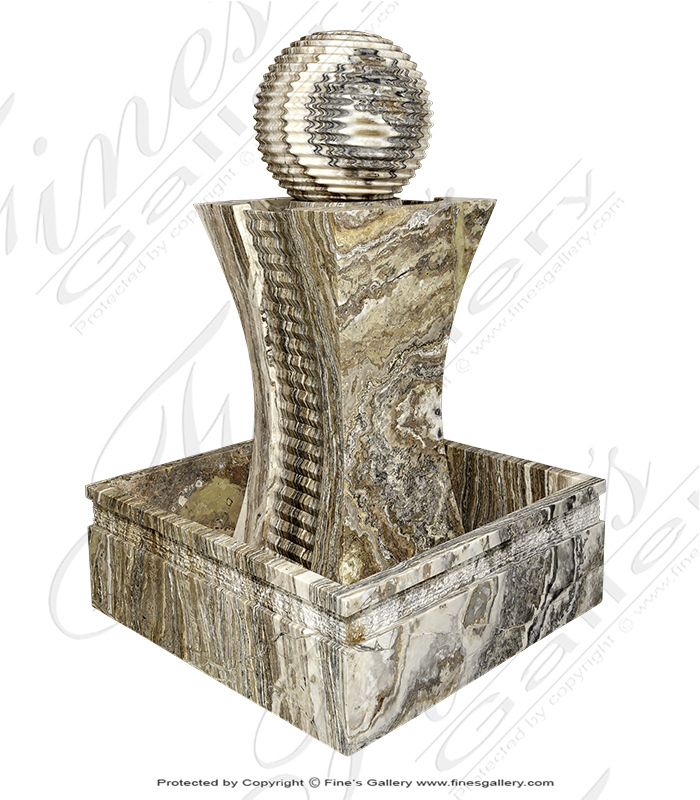 Make a statement with this beautiful onyx base while supporting your fine artwork. 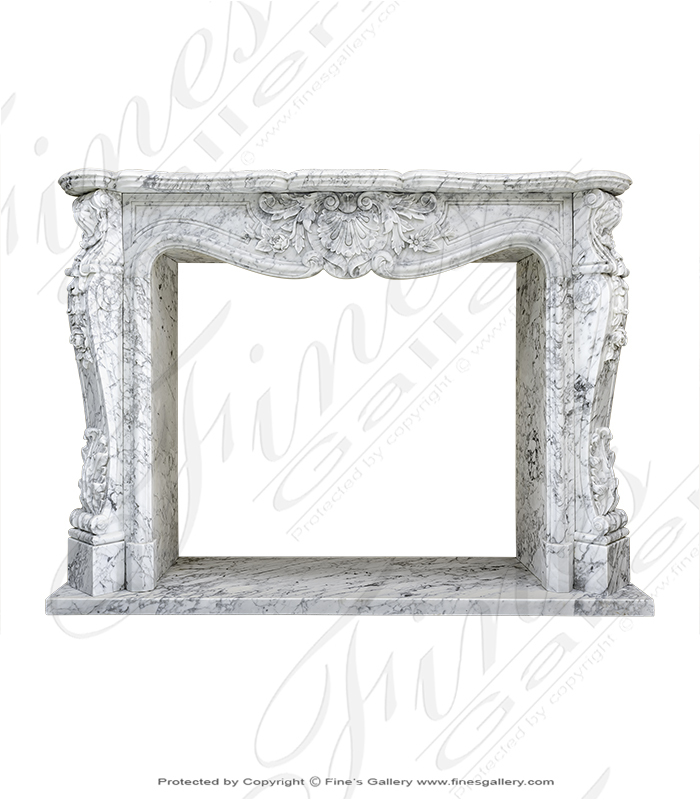 Italian Carrara Marble Mantel in french style. 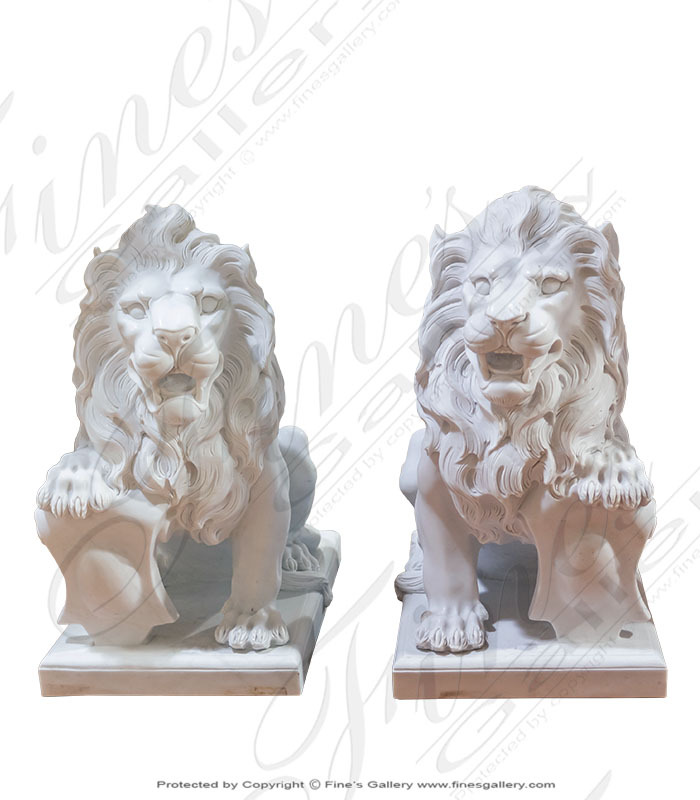 This beautiful detailed marble fireplace is carved from solid blocks from Italian quarried carrara marble. 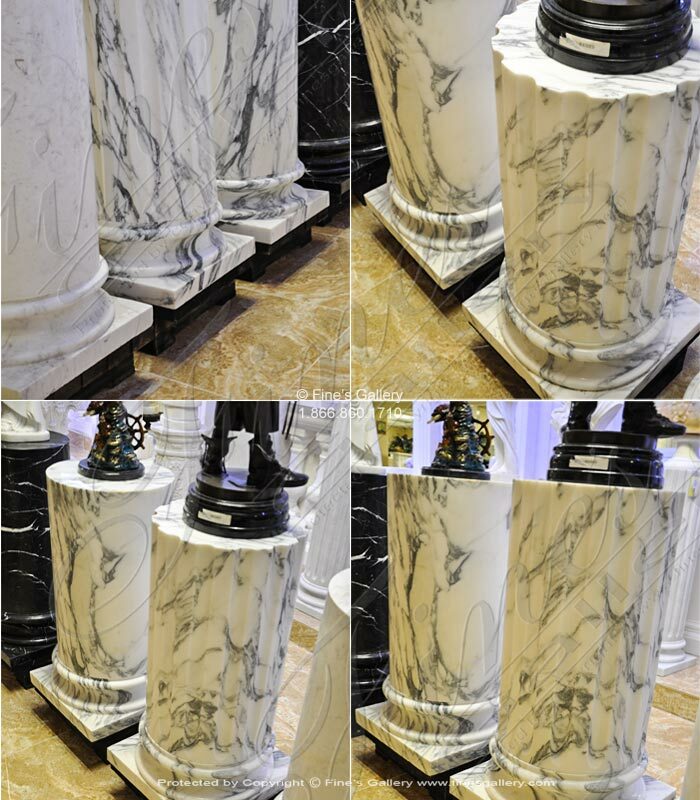 Also available in pure white, cream and beige among many other rare marble from around the world. 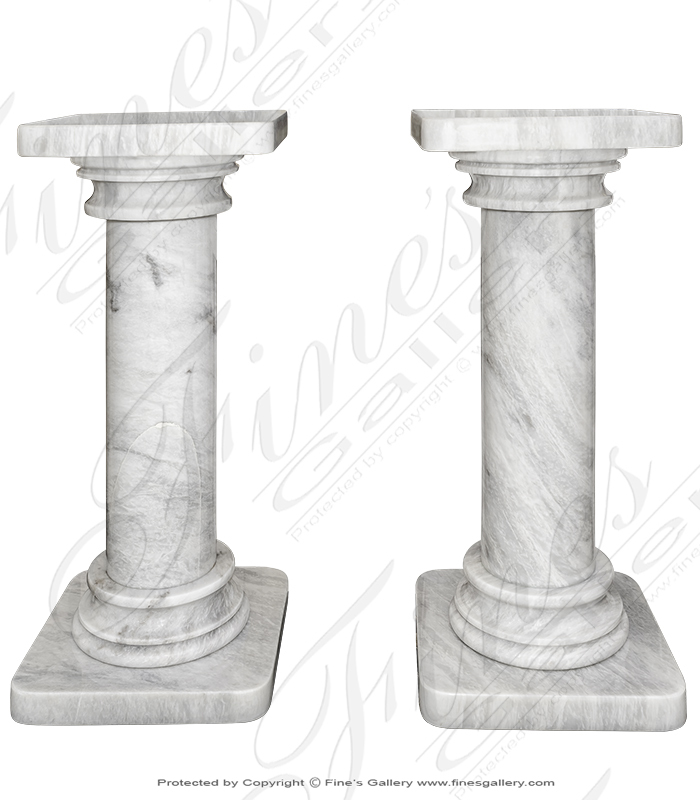 Arabascato Marble Column Base. 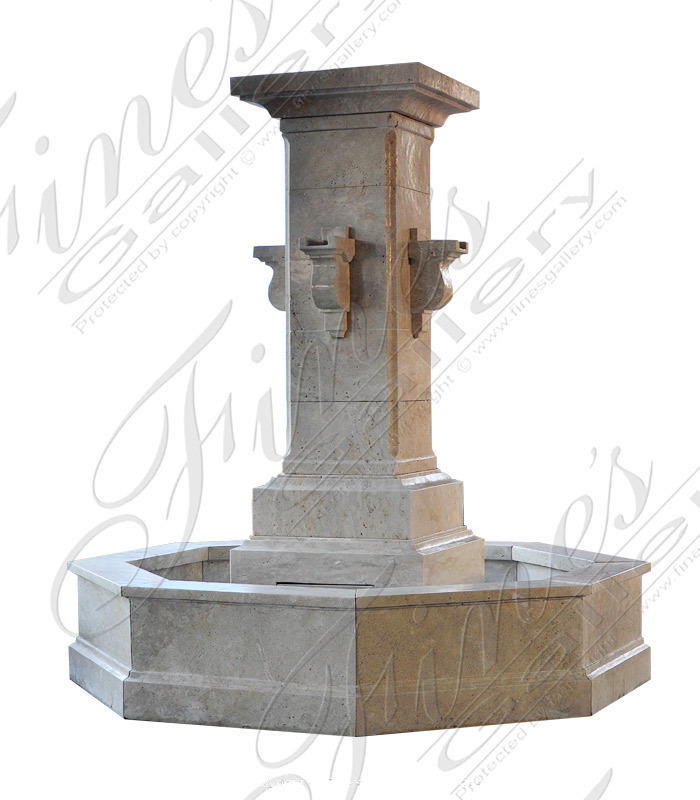 Listed per piece. 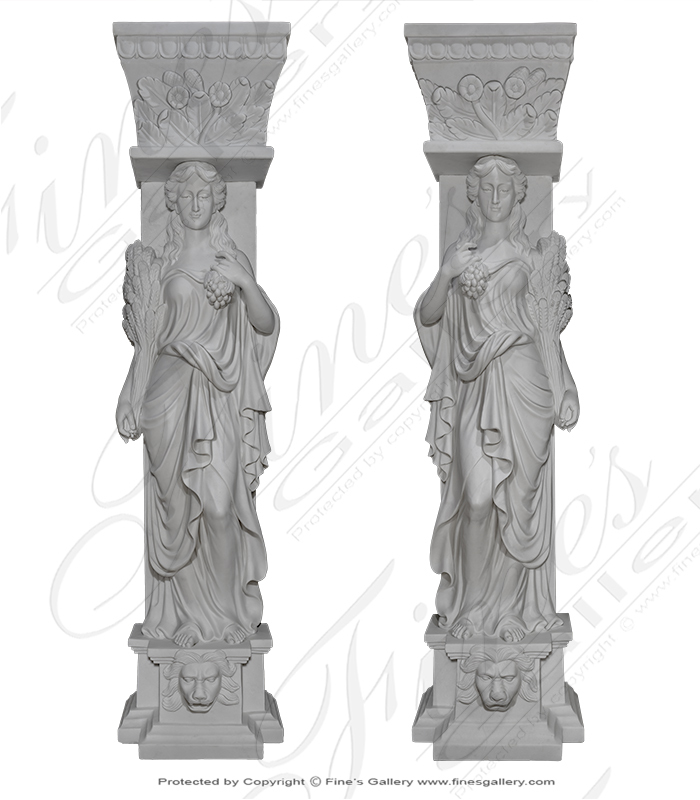 One is fluted, one is smooth. 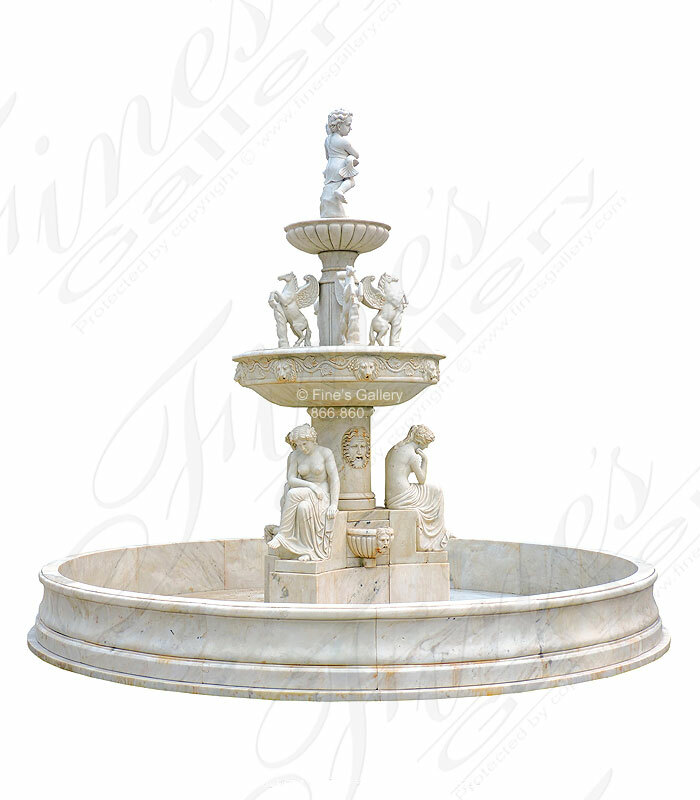 Classic White Marble Pedestal. 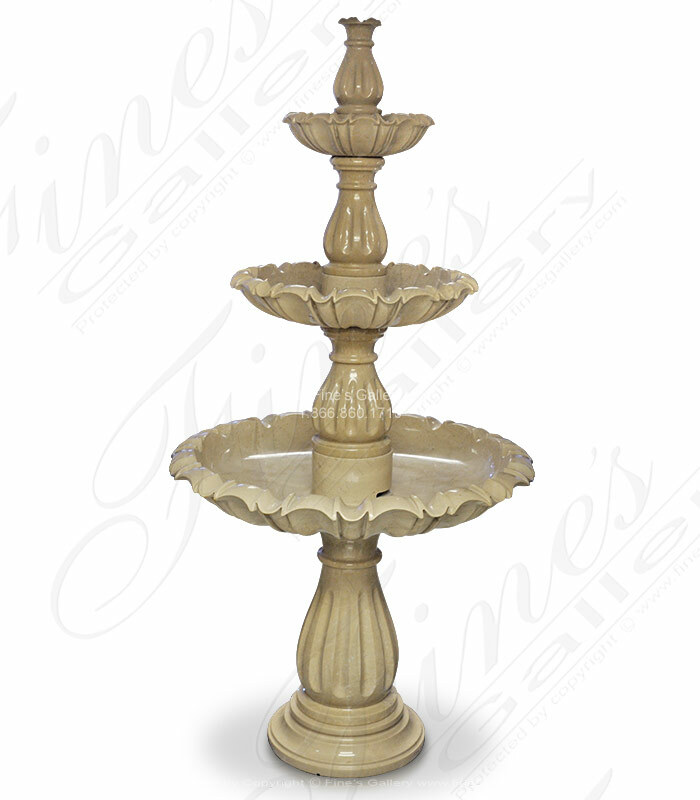 Simple smooth high polished. 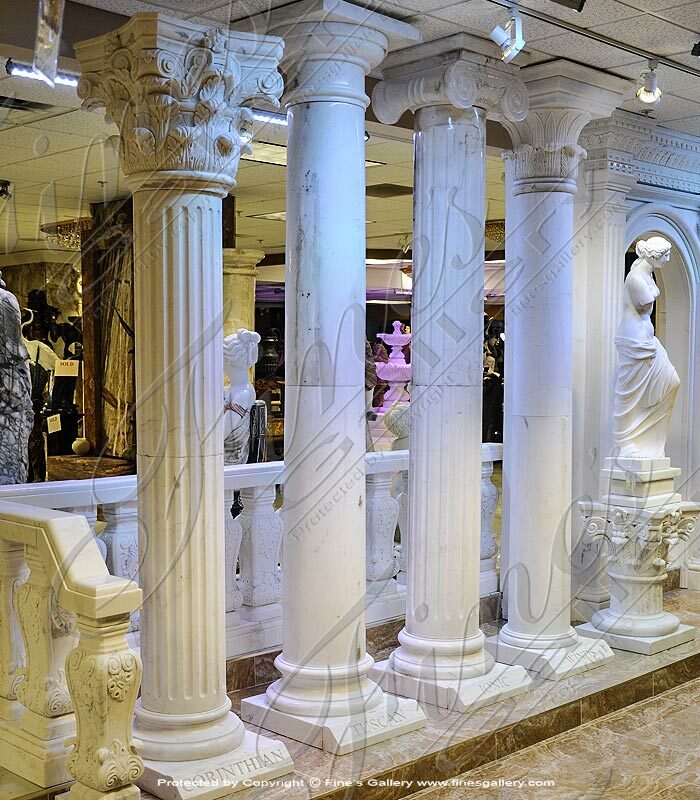 Priced per piece!